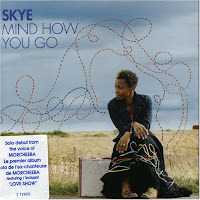 'Mind How You Go' is the fantastic debut album of Skye Edwards following her exit from Morcheeba, the Trip Hop band famous for the worldwide hit "Rome Wasn't Built in a Day" among others. Though Skye Edwards (Shirley Klarisse Yonavive Edwards) was the original voice and face of the British outfit and the one responsible for much if not all of Morcheeba's cult popularity among Trip Hop fans, she was still booted out callously by the Morcheeba founders - the Godfrey brothers (DJ Paul Godfrey and multi-instrumentalist Ross Godfrey) due to creative differences and ego issues. Undeterred by the unceremonious exit, Skye Edwards went on to produce this masterpiece of an album, teaming up with the likes of longtime Madonna collaborator - Patrick Leonard, Dido/Kylie Minogue collaborator - Pascal Gabriel and industry veteran - Daniel Lanois. Mixing lush melodies, trip-hopppish tempo and Skye’s cathartic voice, ‘Mind How You Go’ warrants countless repeat listens. The first 2 tracks are absolutely stellar and my favorites. Download and enjoy. downloaded this album against all hope just to check it out. really good stuff and i agree, warrants countless repeats. btw, came here through linkedin. quite a blog you have. thanks mate. lovely music indeed.